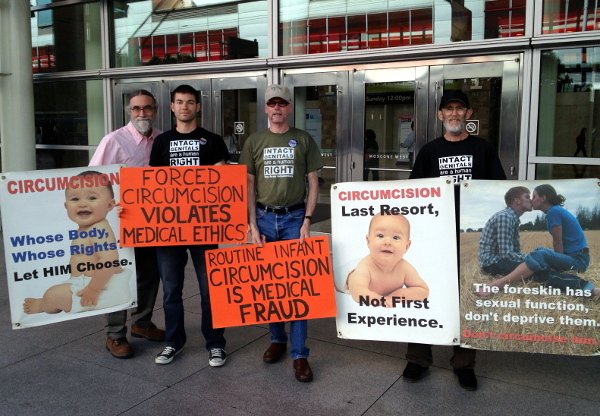 Members of Bay Area Intactivists will hold a peaceful demonstration outside The Westin San Francisco Market Street during the 46th Annual Advances & Controversies in Clinical Pediatrics conference to remind doctors that non-consensual, non-therapeutic, genital surgery such as infant circumcision violates medical ethics as well as the human right to bodily integrity. Signs and literature to distribute will be provided to those who wish to participate in the demonstration. Participants are also welcome to bring their own signs.